In early April of this year nearly 8,000 folks crowded into the Yum Center in downtown Louisville (my home for the past 24 years) for the bi-annual Together For the Gospel (T4G) Conference. For those who do not know about the conference, it is a preaching conference geared towards pastors with a bent towards Calvinistic and Reformed theology. While the teachers and preachers hold differing convictions on things like baptism, church government, covenant theology and even the gifts of the Holy Spirit they embrace a common confession on the gospel and the sovereignty of God in the work of grace. Though the conference is less than half and hour away for a variety of reasons I had never attended. A couple of things changed my mind (including the fact that I got to go for free—thank you BibleWorks!) and I attended the conference and benefited greatly. One of the major factors in my going to the conference and evaluating my time at there came from one of my dear old mentors, John, or Johnny, or Johnny C, or JC as he is often called. I should explain (and I know he would not mind) that Johnny is an old guy, an Old Calvinist, and loves what is called ‘high churchmanship’. Johnny is old school at its finest. You would never find Johnny in jeans. He has never listened to rap or contemporary Christian music. I met him when I was a young man, first through his writings and preaching. I have long considered him a dear friend. I asked Johnny what he thought about conferences like these and whether or not he found profit in them. I sought to find if he had anything negative to say about some of the means and methods used by these men to promote what they were preaching and to reach people. This is what he wrote, “Now I am not going to find fault with this. Let no one suppose that for a moment. On the contrary, I thank God for revival of the old apostolic plan of “aggressiveness” in religion, and the evident spread of a desire “by all means to save some” (1 Corinthians 9:22).” I was a little take aback when he said that he would have even supported the ‘gospel’ preaching of the old revivals with men like Moody and Sankey. I said, John, surely you have some concerns about these things, don’t you? Being a wise and balanced and gracious man, he did offer this bit of concern. He wrote to me, “While we are thankful for the increase of public religion — we must never forget that, unless it is accompanied by private religion, it is of no real solid value, and may even produce most mischievous effects. Incessant running after sensational preachers, incessant attendance at hot crowded meetings protracted to late hours, incessant craving after fresh excitement and highly spiced pulpit novelties (note: he was not referring here to T4G particularly) — all this kind of thing is calculated to produce a very unhealthy style of Christianity and, in many cases I am afraid, the end is utter ruin of soul. For, unhappily, those who make public religion everything, are often led away by mere temporary emotions, after some grand display of ecclesiastical oratory, into professing far more than they really feel. After this, they can only be kept up to the mark, which they imagine they have reached, by a constant succession of religious excitements. By and by, as with drug addicts, there comes a time when their dose loses its power, and a feeling of exhaustion and discontent begins to creep over their minds. Too often, I fear, the conclusion of the whole matter is a relapse into utter deadness and unbelief, and a complete return to the world! And all results from having nothing but a public religion! Oh, that people would remember that it was not the wind, or the fire, or the earthquake, which showed Elijah the presence of God, but “the still small voice” (1 Kings 19:12). After having this interaction with my friend Johnny, I was rebuked, refreshed, challenged and warned. It’s often that way with Johnny…Johnny Charles Ryle. All excerpts (with a few tweaks) from Ryle’s, Holiness, chapter 19, The Needs of the Times. It has been said by some that all preaching consists of two elements–the ‘what’ of the text and the ‘so what’ of the text. Millions of professing Christians take one Lord’s Day a year to celebrate the wondrous reality of the empty tomb of Jesus. Jesus had power to lay down His life and to take it up again. I trust we all realize the tremendous theological and eternal implications of our Lord’s glorious resurrection. But what difference will it make between the time I am converted and the time I reach heaven? I may sing of it on Sunday but what help is it to me on Monday or Tuesday? For our churches facing so many different practical and spiritual issues, what difference does the empty tomb make? We must realize that we are dealing with more than empty tomb. We are also dealing with an occupied throne. Jesus did not rise from the dead only to wander the earth for two thousand years. He ascended to heaven and sat down at the Father’s right hand. 1 Corinthians 15 is the classic New Testament text which deals with the necessity and implications and applications that arise from both the truth of the resurrection and the horrific speculation of what it will mean for all of us if Jesus never did rise. At the conclusion of the chapter Paul (v. 58) gives three applications that arise from the fact of the empty tomb. The first is that we ought to continue steadfast and immovable in the faith. The word ‘steadfast’ can be translated to mean, sit there and don’t get up. Ground yourself here. This is reinforced by the command to be immovable. There are rocks so big that no one even tries to move. The world should see the Church of Jesus Christ holding fast to the truth of divine revelation. It is the truth of the gospel of a risen and glorified and one day returning Savior. If He is dead and decayed we can choose to hold or choose to throw away. If the tomb is empty we must stand fast. The second application is that of Spirit empowered effort and activity to obey Him. Since Christ is risen and glorified we are to be ‘always abounding in the work of the Lord’. 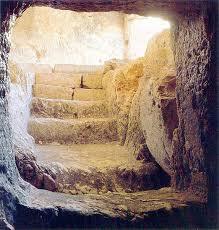 There is no greater motivation for Christian service and unceasing labor than the empty tomb. The third application is the truth that our labor is not in vain. Why does Paul have to say these words? Is it not because many who profess faith lose sight of this truth? What is the point of all these labors and efforts? Why do men get home from work, wolf down a quick meal and go to prayer meeting? Why do women gather late on the Lord’s Day evening with one another to pray? Why seek to send missionaries and hand out tracts and preach the same truths to the same folks week after week? Is it fruitfulness and success that moves and motivates us to the blood, sweat, and tears of laboring for the good of the Kingdom? Paul says, if the King is risen and if the King is enthroned than nothing done for Him is meaningless. It is His triumph and not our fruitfulness that determines these realities. This past week brought home the realities of death and the world to come in a powerful way. I awoke on Monday morning to find the news that a dear friend, Johnny Farsese, had gone to be with the Lord on the Lord’s Day afternoon. A few hours later my wife called to tell me that her older sister, Gini, who had been battling ALS (Lou Gerhig’s disease) had seemingly contracted pneumonia. About an hour later she phoned again to tell be that Gini was with the Lord. I first heard about Johnny in 1986 from Pastor Al Martin when I was a student at the Trinity Ministerial Academy. Johnny was born with a condition called spinal muscular atrophy. This meant that Johnny never walked. By the time I met him he was completely bed ridden. He has lost the ability to swallow and in later years had great difficulty communicating. 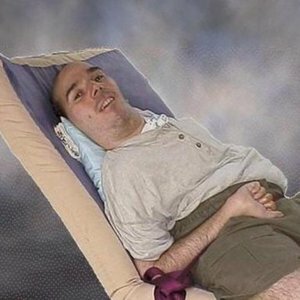 In the blessed providence of God, Johnny came to age in the days of increased computer technology which he was able to master with his limited mobility. With the advent of email I began a ‘professional’ relationship with Johnny in the early 1990’s as he would kindly distribute emails from our church to others for their prayers. At some point along the way personal notes began to be exchanged and we went from being simply brothers involved in mutual ministry to being friends with one another. Through one means or another Johnny and I discovered that we were firmly entrenched on either side of baseball’s greatest rivalry. The first time I was in Florida to preach at Johnny’s church he found out that the Yankees were playing the Red Sox on Saturday afternoon and he invited me and my wife to come, enjoy some pizza and watch the game on his big screen TV. To make things interesting we said that the loser would have to wear the rival’s cap for a time. Sad to say this day’s game meant that I wore the Red Sox cap for some hours. When the Sox finally won the World Series I was able to rejoice with Johnny (several times over the years at it turned out). I was fond of telling him that I loved him more than I hated them! Through the years when I thought of the resurrection and the glory of the final triumph of Jesus over the full extent of the curse I would think of Johnny. What, but the power of God could undo the cruelty of the curse on that body? How God will be glorified in that day when all the bodies of the redeemed will be forever without the curse. I am thankful that because for him to live was Christ, death is now his gain. Johnny joins his voice now and forever with saints and angels with unending and sinless joy. I envy him. I first met my sister in law, Gini in 1986 when my relationship with my wife to be took off. 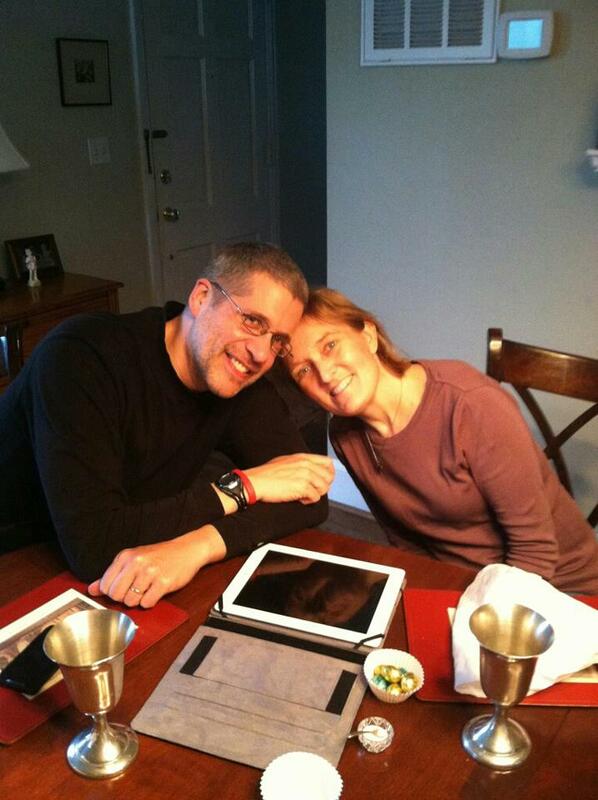 Gini and her husband Steve had met at Wheaton College and were gifted musicians. Those who knew Gini were impressed with her vibrant personality and gifts in playing the piano, singing, and acting. Gini grew up in a godly home and had some struggles with her faith but had in recent years returned to her foundation. A little over two years ago we had some concern about some numbness and tingling in Gini’s hands and some slight slurring of her speech. A battery of tests indicated that there might be some vitamin deficiencies. We soon found out that the diagnosis was much more grim. ALS is one of the most devastating diseases to plague mankind. All who loved Gini watched helplessly as the disease took it’s toll. 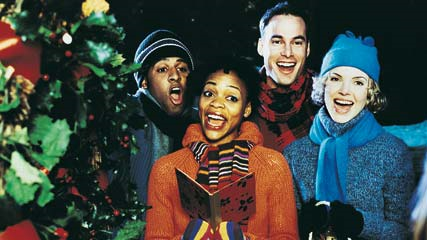 The ability to sing and then to talk, and then to walk. She and her family bore these sufferings with both grace and joy. There was no hint of bitterness towards God, no self pity. What would have struck most folks who saw her was a radiating happiness in the midst of crushing disappointment and increasing pain. Her life was focused outwardly to others. She made painful journeys to attend my daughter’s play and another daughter’s graduation. She went to our niece’s wedding in September and with grit and determination rose from her wheelchair when the bride came down the aisle. With the hope of eternal life in Christ, there is a sense of relief as one leaves the pains of this world. J. C. Ryle once preached a sermon to children where he spoke of three places. One place is this world where there are many tears. The second place was hell where there is nothing but tears. And the final place was heaven where there are no tears. This past week these two loved ones entered that place where there are no tears. At God’s right hand are pleasures forevermore. Tears have been and will be shed on this side but not theirs. Emptiness is felt here and fullness there. Their joy, though now complete, will get better when their bodies, ravaged and battered and now fading away are raised with power. The lame will leap with joy and the mute will sing. Oh, glorious day! How Many Motivations Are There for Godliness? How Many Motivations Are There for Godliness?. The quickest and surest way to bring about change in a society is to instill a sense of panic. In a nation, in a community, and yes, in the churches, if you can convince people that we are in peril, that their very survival is at stake, they will welcome many changes that under other conditions would not be tolerated. For some time now church leaders have been hitting the panic button and issuing dire warnings about the future of the church in our society. We must get our heads out the sand, see what is happening and above all else respond with appropriate change. We can’t do things the old way, people don’t want that, they won’t embrace that, you can’t say it that way, we have to change, change, change. The statistics regarding the number of churches closing and the rate of declension in membership among American bible believing churches should certainly have our attention. Pop quiz? What prominent pastors wrote these dire warnings? The first prominent pastor I quoted is J. C. Ryle. He wrote those words in 1879. The second quotation is from Bishop Butler who wrote in 1736. When Paul wrote to Timothy and told him to be steadfast in the faith and to preach the Word he did so against the prospect of great changes coming to the church. People would not want sound doctrine and if Timothy gave them sound doctrine he could anticipate that tthe flock would likely go eleswhere and find preachers and teachers to give them what tthey wanted. There are certainly churches that need to change and that need to change drastically. The Bible calls for repentance and for reformation. Churches who are unfaithful to their calling and commission must change. Churches aware of sin in their midst and compromises in their doctrine and practices must change. But we must not change due to fear and we must not alter due to the pressures of society. Every pressure we feel to change must be produced by the weighty pressure of exegesis and not the enormous pressure of an empty pew. Before we push that panic button, let’s remember it’s been there for a long time and let’s remember how faithful men responded in the past. Psst…did you hear (read) about…..???? There is an old story about a certain celebrity who is said to have quipped, “If you have nothing nice to say about someone please sit next to me.” Few things are more intriguing to the sin that clings in our heart than those things which tend to harm the reputation of another. The ability to slay the character of another in the hearts of men has become alarmingly easy through the internet. In my devotional reading the other day I came across these words by my dearly departed Mr. Spurgeon. Malicious gossip emits a threefold poison, for it injures the speaker, the hearer, and the person who is the subject of the accusation. Whether the report is true or not, God’s Word forbids us to spread it. The reputations of the Lord’s people should be very precious in our sight, and we should consider it shameful to help the Devil dishonor the church and the name of the Lord. Some tongues need a bridle, not a spur, for a number of people take pride in pulling down their brothers as though it lifts themselves higher. Noah’s sons Shem and Japheth wisely “took a garment … and covered their father’s nakedness” (Gen. 9:23), but Ham spoke of his father’s nakedness and earned a horrible curse as a result. We too may have a dark day ahead, one in which we would appreciate self-restraint and silence from our family in Christ. Thus, let us cheerfully offer the same courtesy to those who need it now. May this be our family rule and personal pledge:“Slander no one” (Titus 3:2)! The Holy Spirit, however, permits us to criticize sin but prescribes exactly how we are to do so. We are to rebuke our brother to his face rather than complain behind his back. This useful method carries God’s blessing and is therefore brotherly, Christlike, and powerful. Our flesh will shrink from this approach, but we should consider the greater stress upon our conscience if we refuse to do the right thing. By ignoring the problem we allow our friend to continue in sin, and then we ourselves actually become participants in it. Many people have been saved from shameful sinfulness through the timely, wise, and affectionate warnings of faithful ministers and friends. And our Lord Jesus Himself has set a gracious example for us in dealing with erring friends. We see His warning to Peter regarding his boastful statement of support being preceded by prayer and delivered with gentleness. Those of us who are parents know what it is like to teach gratitude to our children. ‘Say, thank you!’ we charge repeatedly. Our hope is that the repeated exhortations will pay off and they will automatically and respectfully remember to thank any person who shows them some kindness. While we may be able to effectively deal with their outward behavior, we cannot, without divine power, change their hearts. That is, we cannot make them grateful. When God saves a person and fills them with His Holy Spirit one of the sure signs that He has done so is that they will give thanks always and for all things to the Father through the Lord Jesus (Eph. 5:20). Some time ago my wife and I came across this statement by Alexander Mclaren which has had a profound effect upon our home. 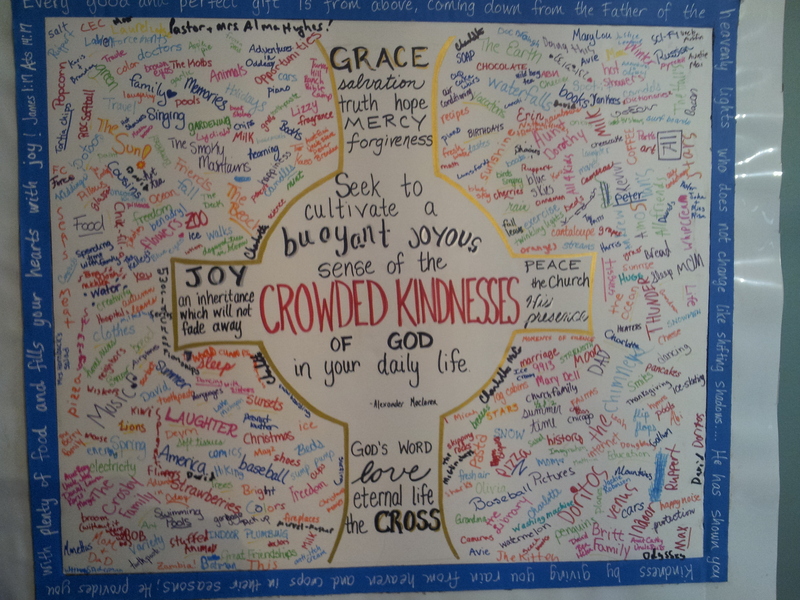 He said, “Seek to cultivate a buoyant, joyous sense of the crowded kindnesses of God in your daily life.” To help with this my wife created the poster shown above which hangs in a prominent place in our home. Through the months various members of the family have written down the things, people, and places that stir gratitude in our hearts toward God. In the center of the poster are those things which are unchanging and eternal, on the outside are the things that are of this age. Of all the things that you will do this week, few will be repeated in eternity. But every time you are thankful to God you are engaging in a heavenly and eternal work. If you do not create your own poster to hang in your home (and if you make one, make it big–there is much for which ought to render thanks), at least create one in your heart! This is not a post about employment, it’s about people. To put it another way, I am talking about capital ‘J’ Jobs. You know, the Job of the bible. If I were to ask you if you wanted to be like Job or if you wanted your church to be full of Jobs you would, no doubt, cringe. What kind of sadist wishes Job’s condition upon another person? We live in a world which is full of suffering and the Bible addresses for us the benefits that come to the body of Christ through suffering (James 1:2ff) These things being so, Job’s reaction to suffering, in it’s initial stages, in it’s full flower, and following the Lord’s self revelation, have much to commend our attention, instruction, and imitation. But I want to focus for a moment upon the description of Job before his suffering. 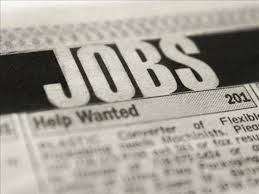 Job is described by the Holy Spirit in these terms, “that man was blameless and upright, and one who feared God and shunned evil.” There are other folks in the Bible described in similar language (more of this in an upcoming post). In the words of 1 John 3:7, he practiced righteousness. He had a perfect justifying righteousness before God in Christ and a practical, demonstrable and real practice of righteousness on earth. He lived his life in the fear of God. He lived for the eyes and ears of God. He lived for the smile of God–and he had it. When sin presented itself he fled. When it corrupted him inwardly or outwardly, he repented, forsook it, was cleansed, empowered and went on. When the pathway of duty was made known, his heart would have cried, “I will run in the way of your commandments” or in the words of his coming Savior, “I have come to do your will, O God.” (Psalm 119:32 and Hebrews 10:7–see also Psalm 40:8). Does that sound like someone you know? 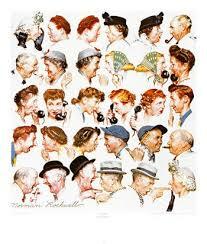 Does it sound like your pastor, your deacon, your father or mother, your husband or wife, your brother or your sister? Does it sound like the average Joe (or Josephine) at your church? Does it sound like someone you would want to know? Does it sound like the kind of person you would want to be part of your fellowship? Does he sound like a dreaded Legalist or Pharisee? Is there evidence that He has and is doing this in your life and in your flock? Where are those in our midst notable for their God fearing? Notable for shunning and hating evil (as defined by God)? Notable for their uprightness and blamelessness (that is, they obey God–including confessing and forsaking their sin, consistently and actually)? Our faith is not only to be proclaimed, it is to be lived. Sinners must not only hear our gospel, they must see the effects of the gospel (Matt. 5:16, 1 Tim. 5:25, Titus 3:8, 1 Peter 2:12). In this is the Gospel proven, in this God is glorified, in this the church is strengthened, in this we shine as lights. Every now and then I will have a conversation with a pastor friend who will ask the question…did you hear about so and so…the tone of the question lets me know that what follows is not going to be pleasant. It normally happens that so and so is out of the ministry, perhaps that he has left his wife and his family, that he has brought some horrible shame upon the church because he failed to watch over his heart. Whenever I hear such things, and, I have heard them far too often in my life, I always ask, when did it start? 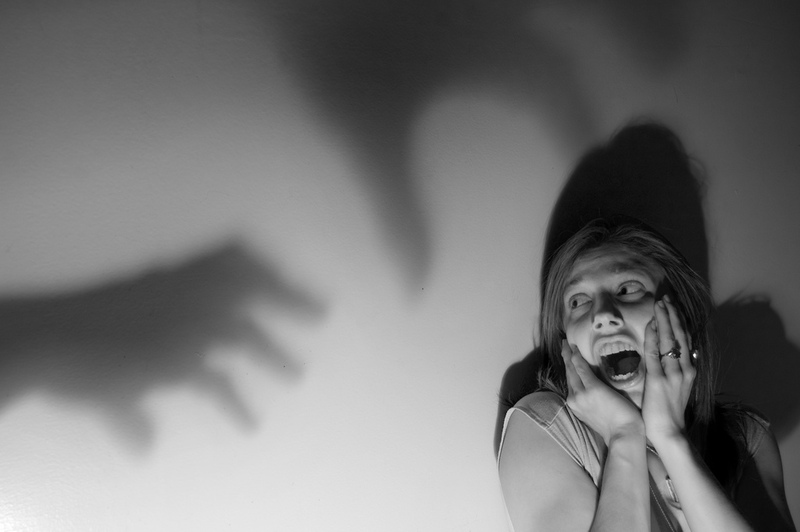 When did that preacher stop fearing God? How did he excuse the compromises that have led him to where he now is? How did he get into the pulpit and preach like that when he knew where he was and what he was doing the week before? What happened to that man the first time he trespassed? What emboldened him to do it again and again till his conscience was hardened and his prayers ceased and his faith went cold and he become something he thought he would never become. Isaiah 59:1 Behold, the LORD’s hand is not shortened, That it cannot save; Nor His ear heavy, That it cannot hear. 2 But your iniquities have separated you from your God; And your sins have hidden His face from you, So that He will not hear. Judges 16:20 20 And she said, “The Philistines are upon you, Samson!” So he awoke from his sleep, and said, “I will go out as before, at other times, and shake myself free!” But he did not know that the LORD had departed from him. In the battle that we are in and in the battle that is upcoming, we do not need to have God’s arm shortened or to purposefully dull His ear. The church of this age is asking ‘where is the power’, ‘why are we so ineffectual’. May not part of the answer to these questions be the compromises we have made and the sins we continue to indulge in? I take this from the well known words of Numbers 32:23 23 “But if you do not do so, then take note, you have sinned against the LORD; and be sure your sin will find you out. Luke 12:2-3 2 “For there is nothing covered that will not be revealed, nor hidden that will not be known. 3 “Therefore whatever you have spoken in the dark will be heard in the light, and what you have spoken in the ear in inner rooms will be proclaimed on the housetops. Ecclesiastes 12:14 14 For God will bring every work into judgment, Including every secret thing, Whether good or evil. 2 Corinthians 5:10 10 For we must all appear before the judgment seat of Christ, that each one may receive the things done in the body, according to what he has done, whether good or bad. Whether in this life or more importantly..in the life to come, who and what you are will be exposed. There will be no hypocrisy in the age to come. Proverbs 28:13 13 He who covers his sins will not prosper, But whoever confesses and forsakes them will have mercy. You know the narrative of the effects of Achan’s sin. Shame and defeat was brought upon the nation, real men with real families died as a result of his actions. Though the nation was not complicit in his crimes, they shared in his punishment. Like it or not, we are joined to one another in the body. If the liver has cancer the whole body suffers. Think of the threat that Jesus made to the church in Ephesus (See Rev. 2) that He would remove their candlestick if they did not repent and do the first works. Were there no believers in that church who had clung fast to their first love? The sins of some effect the whole. 1 Thessalonians 5:19 19 Do not quench the Spirit. Ephesians 4:29-30 29 Let no corrupt word proceed out of your mouth, but what is good for necessary edification, that it may impart grace to the hearers. 30 And do not grieve the Holy Spirit of God, by whom you were sealed for the day of redemption. I believe one of the greatest problems of our modern age is that we do not truly believe in the power of the Holy Spirit as the means of accomplishing our mission. We pay lip service to prayer but our real hope is in men and programs. 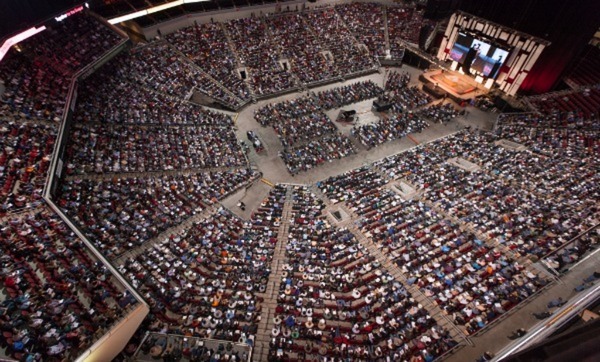 Modern evangelicals have abandoned corporate prayer meetings and rare and brief are the prayers uttered in public worship. Cursed is the man who trusts in man! This present world…more literally this present age…what Paul calls in Galatians this evil age. Matthew 5:28-30 28 “But I say to you that whoever looks at a woman to lust for her has already committed adultery with her in his heart. 29 “If your right eye causes you to sin, pluck it out and cast it from you; for it is more profitable for you that one of your members perish, than for your whole body to be cast into hell. 30 “And if your right hand causes you to sin, cut it off and cast it from you; for it is more profitable for you that one of your members perish, than for your whole body to be cast into hell. Hebrews 10:24-31 24 And let us consider one another in order to stir up love and good works, 25 not forsaking the assembling of ourselves together, as is the manner of some, but exhorting one another, and so much the more as you see the Day approaching. 26 For if we sin willfully after we have received the knowledge of the truth, there no longer remains a sacrifice for sins, 27 but a certain fearful expectation of judgment, and fiery indignation which will devour the adversaries. 28 Anyone who has rejected Moses’ law dies without mercy on the testimony of two or three witnesses. 29 Of how much worse punishment, do you suppose, will he be thought worthy who has trampled the Son of God underfoot, counted the blood of the covenant by which he was sanctified a common thing, and insulted the Spirit of grace? 30 For we know Him who said, “Vengeance is Mine, I will repay,” says the Lord. And again, “The LORD will judge His people.” 31 It is a fearful thing to fall into the hands of the living God. And that in two ways. And the second is the inability of you to bear witness when you know your own life does not promote the very thing you are trying to teach others. It is the righteous man who is as bold as a lion. 1 Peter 3:15-16 15 But sanctify the Lord God in your hearts, and always be ready to give a defense to everyone who asks you a reason for the hope that is in you, with meekness and fear; 16 having a good conscience, that when they defame you as evildoers, those who revile your good conduct in Christ may be ashamed. It was sin that brought the curse into the world, sin cast angels from heaven, it was sin that brought about a great flood, it was sin that brought down fire on Sodom and Gomorrah, it was sin that brought death to David’s family and pestlience in the land, sin that brought about the invasion of Israel and the bloody soaked destruction of Judah, it was sin that nailed the Savior to the cross and it sin, sin unrepented of and unforsaken, that has and that will cast untold millions into eternity separated from God. Matthew 25:41 41 “Then He will also say to those on the left hand, ‘Depart from Me, you cursed, into the everlasting fire prepared for the devil and his angels.